Home » Health & Lifestyle » Emotional Health » What Does It Mean to Be “Strong With Diabetes”? What Does It Mean to Be “Strong With Diabetes”? You have written up your health and diabetes goals and I have provided you with a good resistance training program, so you’re all set and ready to go, right? Well, let’s take a step back and look at the big picture. What does it really mean to be Strong With Diabetes? I would love to hear what it means to you, but let me first share what it means to me. 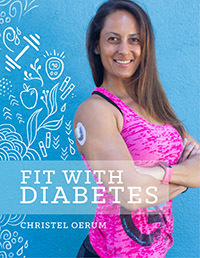 To me, being Strong With Diabetes means more than just bulging biceps and a healthy body. It also means trying to have a positive outlook and building a strong grip on how you want to handle your diabetes. Most of my posts here on Diabetes Strong are about exercise and nutrition, but I actually think that the mental aspects of diabetes are at least as important. It’s hard to be successful at living a healthy lifestyle if you don’t feel like you have the mental reserves to deal with your diabetes or prioritize your health. And let’s be real here, living with diabetes takes up a lot of mental capacity. Developing mental reserves and a positive outlook can be exceptionally difficult. You can’t just say, “Today I will be happy and positive, and take great care of my diabetes” and expect it to be instant. That’s not how the mind works, at least not for me and most people I know. But what you can do is work on your mental outlook every day and build that mental strength! If you are fighting your diabetes, you end up spending all your time and energy thinking about how hard, annoying, and unfair it is. If you accept that this is how it is instead, you can focus on how to best manage your diabetes and live a happy and normal life. Building mental strength and developing a positive outlook is not about being unrealistic and always thinking everything will be fine, but rather having a core belief that things will work out if you have the right knowledge, tools, and support. It’s also about being a little bit brave, and pushing the boundaries of what you know you can do and what you hope and think you can do. And I’m happy to say that we have a whole community of people in the Facebook challenge community who are there to help build you up and catch you if you fall. Because tripping and falling is ok, as long as a positive outlook is there to help you brush off the fall and get back up. It’s like learning to ride a bike, swim, read, etc. We didn’t know that we could do it, but we somehow had the belief that we could, so we learned how and figured it out. I think we’ve all had a positive outlook at some point in our lives, we sometimes just have to dig a little deeper to remember how it feels when it comes to our health and diabetes. After acceptance comes action, so what does taking care of your diabetes mean to you? To me, today, it means trying to avoid too many blood sugar fluctuations but also to not obsess over my CGM graph. 10 years ago, taking care of my diabetes meant something different to me, and in 10 years I’m sure it will have changed again to some degree. So, with the focus on being healthy, decide what’s important to you when it comes to your diabetes and how you handle it on a daily basis. All the usual diabetes management goals (A1C, staying between the lines, etc.) are good and should be a part of the plan, but I do think it’s worth giving some thought to other aspects of health. All too often, our diabetes goals get all the attention, while our mental health is ignored. What good is a flat blood sugar line if you are so anxious that you can’t live a full life? To come full circle, Strong With Diabetes to me means a balance of physical, mental and diabetes health. Each part gets attention but none of them dominate the others. And you don’t have to have it all figured out — nobody does! I wish for us all that we become Strong(er) With Diabetes together as we learn and grow. I absolutely agree with you in regards to “trying to avoid too many blood sugar fluctuations but also to not obsess over my CGM graph. ” this is exactly why at first I could not handle the CGM because I would obsess over where my sugar was going and how to immediately fix it.. but with my obsession came fixing it to soon and not letting my sugar ride it out to see if it would stop rising or lowering. Thankfully I have overcome this obstacle. Sometimes I put limits on myself on what I can do as of now. For instance, I’m just now graduating with my Physical therapy assistant degree and during my last rotation, I loved where I worked, but it was hard to keep my sugar under control. Now that I’m not there my sugars have been a lot better but I miss the Physical Therapy clinic and all my patients and my boss! I’m scared to work there because of my sugars but I want to find a solution because I just love this place! Most of my posts here on TheFitBlog are about exercise and nutrition, but I actually think that the mental aspects of diabetes are at least as important. It’s hard to be successful at living a healthy lifestyle if you don’t feel like you have the mental reserves to deal with your diabetes or prioritize your health.And let’s be real here, living with diabetes takes up a lot of mental capacity. Diabetes does take a lot of “mental capacity”!!! And especially when I am going low or high during times when I am out to a resturant trying to figure out what to order, how much bolus to take, and trying not to get frustrated in the process so the people around me can have a good time still despite my sugar and how my emotions are effected. I feel the same as “Paula”- After 20 years of diabetes, I have found that my outlook has changed in a negative way. I don’t like it and I sometimes can’t help it. Approaching a time in my life when I should be excited to be having children how ever I am becoming more obsessive with my diabetes in anticipation that it will never happen. Good read today. I have a fitness class today so I will exercise. Very good thoughts. Years ago the book The Power Of Positive Thinking (by Norman Vincent Peale I think) was very popular. Just seeing the book title can remind me that there is great strength in thinking with a positive mind. I have recently realized that as I have aged, my thinking has gotten more negative. For whatever reasons this has happened, I also realize it can steal my happiness and enjoyment of living. It isn’t just the glass half empty versus half full syndrome because it is much deeper than that. I agree with you and will strive to energize my positive outlook. Thanks for the thoughtful post Paula. I’m also glad my thoughts resonate with you. 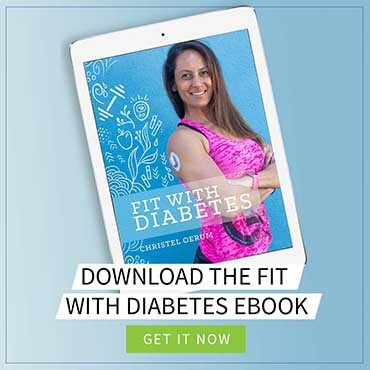 Focusing on more than just our “numbers” and working on actually being happy is in my mind a missing piece when it comes to diabetes management.